Apple Corer and Slicer Only $2.89 + FREE Shipping! You are here: Home / Great Deals / Amazon Deals / Apple Corer and Slicer Only $2.89 + FREE Shipping! If you’ve been looking for a deal on a tool to make cutting apples easier, I have a GREAT one for you! 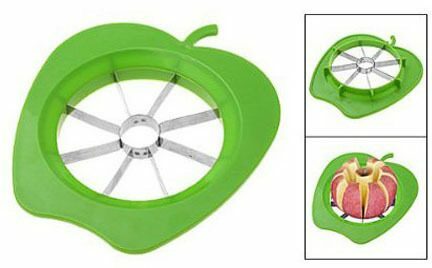 Right now, you can get this Apple Corer and Slicer for just $2.89 with FREE shipping! Cutting apples with a knife is a pain to me, so I’m definitely getting this. It will make slicing apples for my daughter MUCH easier and quicker!! Suitable for cutting and slicing such fruits as apples and pears.